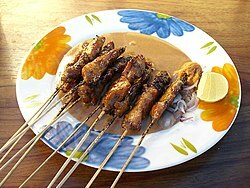 ^ Grilled Beef Satay. Food Reference.com. [2010-07-06]. 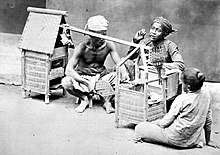 ^ Indonesian Regional Food and Cookery By Sri Owen. [2010-07-07]. ^ CNNGO: 40 of Indonesia's best dishes. [2011-10-27]. （原始内容存档于2011-10-25）.